Q. 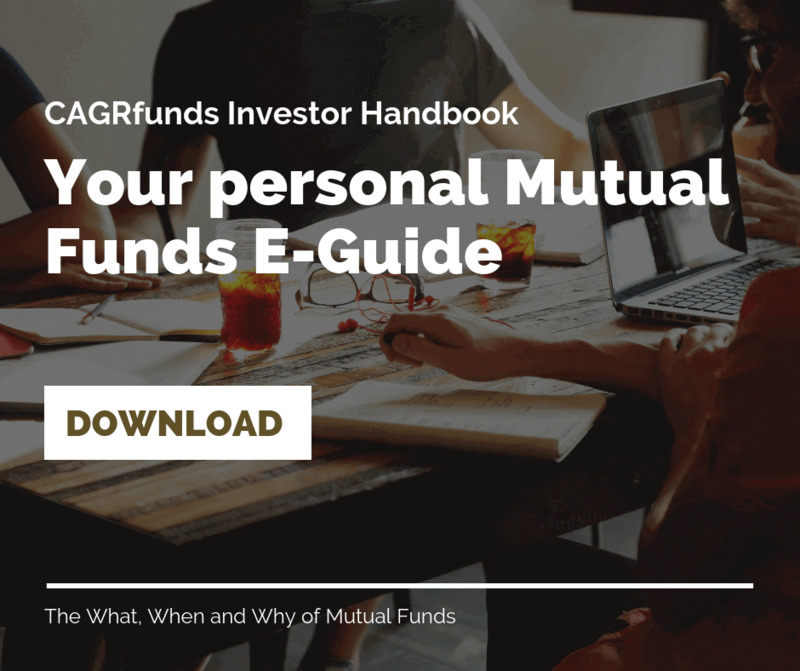 What is a mutual fund?? A Mutual fund is a type of a financial product which pools together a group of individuals and invests their money in stocks, bonds and other securities. Each investor owns “units” the price of which is commonly known as “NAV” or “Net Asset Value”. The NAV changes on a daily basis based on the price movements of the securities in a mutual fund’s portfolio. Q. What are the types of mutual funds? An equity mutual fund is a one which invests primarily in publicly traded equity. The objective of such a fund is to find good opportunities and invest in business that will grow, thrive and generate considerable returns for stakeholders. There are, however, many different types of equity funds because there are many different types of equities. A great way to understand the universe of equity funds is to use a style box, an example of which is below. For example, a mutual fund that invests in large-cap companies that are in strong financial shape but have recently seen their share prices fall would be placed in the upper left quadrant of the style box (large and value). The opposite of this would be a fund that invests in technology companies with excellent growth prospects. 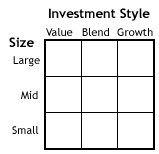 Such a mutual fund would reside in the bottom right quadrant (small and growth). Debt funds are also known as Bond funds or Income funds. These terms denote funds that invest primarily in government and corporate debt. While fund holdings may appreciate in value, the primary objective of these funds is to provide a steady cashflow to investors. As such, the audience for these funds consists of conservative investors and retirees. Liquid fund is a category of mutual fund which invests primarily in money market instruments like certificate of deposits, treasury bills, commercial papers and term deposits. Lower maturity period of these underlying assets helps a fund manager in meeting the redemption demand from investors. Withdrawals from liquid funds are processed within 24 hours on business days. The cut-off time on withdrawal is generally 2 p.m. on business days. It means if you place a redemption request by 2 p.m. on a business day, then the funds will be credited to your bank account on the next business day by 10 a.m. Liquid funds are among the best investment options for the short term during a high inflation environment. During high inflationary period, the Reserve Bank typically keeps interest rates high and tightens liquidity, helping liquid funds to earn good returns. Even though it is more than two years since the Reserve Bank of India deregulated interest rates on savings deposits, most banks still offer around 4 per cent. Some banks offer higher interest rates on savings accounts but ask for a higher minimum deposit. Still, we park a significant proportion of our spare cash in these low-yielding savings accounts, earning much lower rates than the inflation rate. Liquid funds can help us earn much higher rates than what the savings deposits offer without compromising too much on how quickly we can get our hands on the cash. During the past year, some liquid funds have even offered higher returns than bank fixed deposits, which levy a penalty on premature withdrawal. Arbitrage fund is a type of mutual fund that leverages the price differential in the cash and derivatives market to generate returns. The returns are dependent on the volatility of the asset. These funds are hybrid in nature as they have the provision of investing a sizeable portion of the portfolio in debt markets. Arbitrage funds are the panacea for low risk taking investors. In a situation of high and persistent volatility, arbitrage funds provide investors a safe avenue to park their hard earned money. These funds capitalize on the market inefficiencies and generate profits for the investors. As these funds invest predominantly in equities, their tax treatment is at par with equity funds. *Source: Value Research. It has been assumed that the Kotak Equity Arbitrage Fund Regular Plan is earning approximately same return year on year. This assumption has been made to ensure like to like comparison. These funds buy and sell units on a continuous basis and, hence, allow investors to enter and exit as per their convenience. The units of open ended funds can be purchased or sold even after the initial offering period is over. The units are bought and sold at the net asset value (NAV) declared by the fund. The number of outstanding units goes up or down every time the fund house sells or repurchases the existing units. This is the reason that the unit capital of an open-ended mutual fund keeps varying. The fund expands in size when the fund house sells more units than it repurchases as more money is flowing in. On the other hand, the fund's size reduces when the fund house repurchases more units than it sells. An open-ended fund is not obliged to keep selling new units all the time. For instance, if the management thinks that it cannot manage a large-sized fund optimally, it can stop accepting new subscription requests from investors. However, it has to repurchase the units at all times. The unit capital of closed-ended funds is fixed and they sell a specific number of units. Unlike in open-ended funds, investors cannot buy the units of a closed-ended fund after its initial offering period is over. This means that new investors cannot enter, nor can existing investors exit till the term of the scheme ends. However, to provide a platform for investors to exit before the term, the fund houses list their closed-ended schemes on a stock exchange. The number of outstanding units of a closed-ended fund does not change as a result of trading on the stock exchange. Apart from listing on an exchange, these funds sometimes offer to buy back the units, thus offering another avenue for liquidity. Sebi regulations ensure that closed-ended funds provide at least one of the two avenues to investors for entering or exiting. The closed-ended funds are free from the worry of regular and sudden redemption and their fund managers are not worried about the fund size. Q. Why should one invest in mutual funds? Mutual funds allow investors to pool in their money for a diversified selection of securities, managed by a professional fund manager. They are ideal for people who do not have the time or expertise to make investments into individual securities and thus is an effective tool to optimize their returns. Mutual Funds help investors generate better inflation-adjusted returns, without spending a lot of time and energy on it. While most people consider letting their savings 'grow' in a bank, they don't consider that inflation may be nibbling away its value. Mutual funds are an ideal investment option when you are looking at convenience and timesaving opportunity. With low investment amount alternatives, the ability to buy or sell them on any business day and a multitude of choices based on an individual's goal and investment need, investors are free to pursue their course of life while their investments earn for them. Also, the current pool of various fund schemes provides the investor with a considerably large set to choose from. An investor can conveniently choose a fund fitting his or her return, risk and tenure criteria. Probably the biggest advantage for any investor is the low cost of investment that mutual funds offer, as compared to investing directly in capital markets. Most stock options require significant capital, which may not be possible for young investors who are just starting out. Mutual funds, on the other hand, are relatively less expensive. The benefit of scale in brokerage and fees translates to lower costs for investors. One can start with as low as Rs. 500 and get the advantage of long term equity investment. Investors have the advantage of getting their money back promptly, in case of open-ended schemes based on the Net Asset Value (NAV) at that time. In case your investment is close-ended, it can be traded in the stock exchange, as offered by some schemes. Additionally, investments in liquid funds can be redeemed within 24 hours on a business day, with returns comparable to that of fixed deposits which do not provide the same kind of liquidity. Fund managers provide regular information about the current value of the investment, along with their strategy and outlook, to give a clear picture of how your investments are doing. Moreover, since every mutual fund is regulated by SEBI, you can be assured that your investments are managed in a disciplined and regulated manner and are in safe hands. Going by the adage, 'Do not put all your eggs in one basket', mutual funds help mitigate risks to a large extent by distributing your investment across a diverse range of assets. This limits investment risk by reducing the effect of a possible decline in the value of any one security. 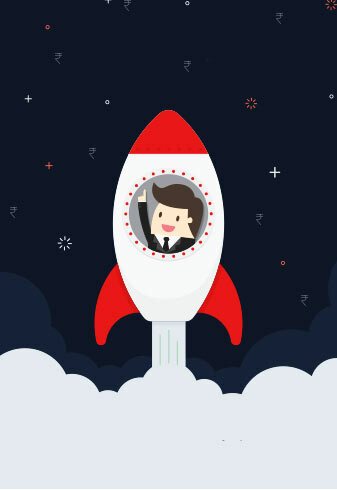 Mutual fund unit-holders can benefit from diversification techniques usually available only to investors wealthy enough to buy significant positions in a wide variety of securities. Mutual funds thus offer a great investment opportunity to investors who have a limited investment capital. Q. How does one choose which fund to invest in? Historical performance vis-à-vis benchmark – Fund performance cannot be evaluated on an isolated basis. It should always be compared with the benchmark returns. Each fund may have a separate benchmark and a fund which outperforms the benchmark returns is reflective of a more robust portfolio. Consistency in fund returns is also an important consideration. A fund with a more consistent performance (low return volatility in past years) demonstrates more professional management and a sound logic behind security selection. Ability and willingness to take risk - Ability to take risk is the measure of financial independence from possible losses. The less the investor relies on the invested assets for covering his actual and future financial obligations, the greater his financial independence and therefore his ability to take risks. Personal willingness to take risks determines to what extent an investor is prepared to accept price fluctuations and losses. It has to be differentiated from the investor`s objective ability to take risks. An investor who has a high ability and willingness to take risk is likely to choose long term equity funds over other alternatives. Q. What metrics should one use for determining the risk – return trade off in a mutual fund? One of the principles of investing is the risk-return tradeoff, defined as the correlation between the level of risk and the level of potential return of an investment. For the majority of stocks, bonds and mutual funds, investors know that accepting a higher degree of risk or volatility results in a greater potential for higher returns. In order to determine the risk-return tradeoff of a specific mutual fund, investors analyze the investment's alpha, beta, standard deviation and Sharpe ratio. Q. More about Systematic Investment Plans (SIPs)? A Systematic Investment Plan or SIP is a smart and hassle free mode for investing money in mutual funds. SIP allows one to invest a certain pre-determined amount at a regular interval (weekly, monthly, quarterly, etc.). A SIP is a planned approach towards investments and helps inculcate the habit of saving and building wealth for the future. A SIP is a flexible and easy investment plan. The investor’s money is auto-debited from his or her bank account and invested into a specific mutual fund scheme. The investor is allocated certain number of units based on the ongoing market rate (called NAV or net asset value) for the day. Every time money is invested, additional units of the scheme are purchased at the market rate and added to the investment account. Hence, units are bought at different rates and investors benefit from Rupee-Cost Averaging and the Power of Compounding. With volatile markets, most investors remain skeptical about the best time to invest and try to 'time' their entry into the market. Rupee-cost averaging allows the investor to opt out of the guessing game. Since SIP ensures regular investment, the investor’s money fetches more units when the price is low and lesser when the price is high. During volatile period, it may allow the investor to achieve a lower average cost per unit. The rule for compounding is simple - the sooner you start investing, the more time your money has to grow. If you started investing Rs. 10000 a month on your 40th birthday, in 20 years time you would have put aside Rs. 24 lakhs. If that investment grew by an average of 7% a year, it would be worth Rs. 52.4 lakhs when you reach 60. However, if you started investing 10 years earlier, your Rs. 10000 each month would add up to Rs. 36 lakh over 30 years. Assuming the same average annual growth of 7%, you would have Rs. 1.22 Cr on your 60th birthday - more than double the amount you would have received if you had started ten years later! Q. What is a New Fund Offer (NFO)? A new fund offer (NFO) is the first time subscription offer for a new scheme launched by the asset management companies (AMCs). A new fund offer is launched in the market to raise capital from the public in order to buy securities like shares, govt. bonds etc. from the market. NFO is similar to the initial public offer (IPO) with an attempt to raise capital from the market. NFOs are offered for a stipulated period. This means that the investors opting to invest in these schemes at the offer price can do so in this stipulated period only. After the NFO period, investors can take exposure in these funds only at the prevailing NAV.